The Community of Greenville SC has tons of Children's activities and resources. Downtown Greenville is a great place to take the kids. They have a genuine cool toy store & Mast General (which has a great kids section), but best thing about downtown are the outdoor options - The Children's Garden, Swamp Rabbit Trail, Falls Park, Liberty Bridge, THE CHILDREN'S FOUNTAINS (outside of the Hampton Inn Riverplace), and to top off your day - Marble Slab Creamery or Spill the Beans for ICE CREAM to name just a couple.! It's a great place for play dates, or to spend time with family on the weekend. Greenville also has the Children's Museum at Heritage Green and the Jon Kroc Salvation Army Community Center which is state of the art with an indoor pool. There are several water parks in Greenville County built by the City of Duncan and Greenville County. These water parks are very popular in the summer and the only way to beat the heat. These water parks are Shipwreck Cove water park built by City of Duncan, Discovery Island, Otter Creek and 7th Inning Splash run by Greenville County Recreation Department. Greenville County Library Kid's Activities - Story time, Music time, Family Fun activities and more. All free at our local libraries. Click on the EVENTS CALENDAR in the right hand column and select for "type"...Children and it will bring up the kids activities for the month! Roper Mt Planetarium & Science Center- A great place to take you kids every 2nd Saturday of the month. It offers fun stuff for kids of all ages. Crafts, interesting science information, Historical farm with animals and gardens. Live animals to pet and explore with the volunteers help and the rainforest room to go through! Monthly they usually have a speakers on some really interesting science/ nature topic. Greenville Zoo - Open 7 days a week from 10:00 A.M. to 6:00 P.M. Check them out for zoo camps, zoo safaris, Boo in the zoo. and more for all ages. Children's Museum - A wonderful adventure for kids of all ages. Explore everything from science to art and construction. Greenville School Sports Info and Schedules - A listing of all the county school sports activities with more information and schedules. Sign your children up for soccer, baseball and more. Simpsonville Recreation Department - The Recreation Department and the YMCA host leagues in adult softball, basketball and volleyball; and youth soccer, baseball, basketball and football. 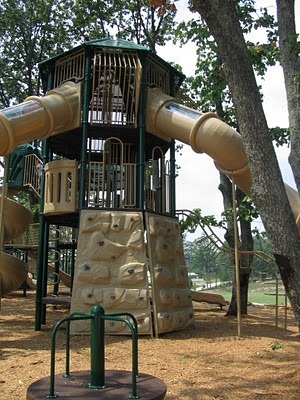 City of Greer Park & Recreation - Has sports schedules for children as young as 3. Baseball, soccer and more are offered. Greenville Recreation District - A listing of sports activities and parks available to area Residents. SC Children's Theatre -Programs for kids from 3 on up. One day or weekly programs that encourage children's creativity and teach them to be in front of an audience. Greer Cultural Arts Council - Greer's Children's Theatre information is listed here. This lot is in great location inside of the Reserve! Short golf cart ride to the Clubhouse. Enjoy everything the Reserve has to offer!